African immigrants in the Bay Area are upset that many of them have to go through a secondary review process in order to apply for a California driver’s license under AB 60. At a recent forum in Oakland with DMV officials, several African immigrants said they didn’t understand why they were sent into secondary review. Attendees asked why more than half of African countries were not on the list of acceptable passports, leaving their nationals to provide more documentation in order to apply for a driver’s license. Ekow Croffiie, an Oakland resident originally from Ghana, pulled out his passport and birth certificate, saying he had been in secondary review for months. Adoubou Traore, project director of the African Advocacy Network in San Francisco, has been meeting with DMV officials to answer some of the questions and concerns that he hears in his community. Since January 2015, the DMV has issued more than 500,000 driver’s licenses to unauthorized immigrants in California under AB 60. To be eligible, they must provide proof of identity and California residency, as well as pass all required tests. Passports and other documents accepted by the DMV must meet all of the standards of security. This includes questions like how easy it is to forge a passport, and how the country verifies people’s identities. Mexican nationals, whose country has a security agreement with the DMV, need only present one document to prove their identity. This can include a Mexican passport issued in 2008 or later, a Mexican consular card (matricula consular) or a 2013 Mexican federal electoral card (Instituto Federal Electoral Credencial para Votar). A second group, including those from some other Latin American countries and those whose passports are approved by the DMV, needs to present two documents. Those who do not fall into either of the first two groups, including nationals of many African and Asian countries, are sent to secondary review, where they are asked to provide additional documents to verify their identity. According to the DMV, a majority of those who have been sent to secondary review in January and February have gotten approval to move forward with their application. But Armando Botello, deputy director of the DMV’s Office of Public Affairs in Sacramento, noted that the number of applications that required a secondary review exceeded the DMV’s expectations. As a result, the wait time in some cases exceeded four months. Traore said he plans to continue to meet with DMV officials to help more African immigrants take advantage of AB 60. “Education is needed on both sides,” Traore said. “It’s in everyone’s interest,” he said, to allow people to apply for a driver’s license – not only for those who get a driver’s license through AB 60, but for the safety of everyone sharing the road. 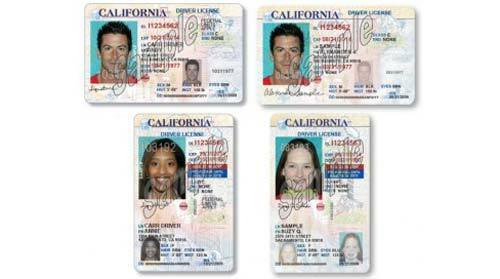 For more information about how to apply for a California driver’s license under AB 60, go to:DMV.ca.gov.